← Your Kids And Teenage Pregnancy: Are They Safe? These are just among other kinds of incontinence, all caused by any kind of disease that makes the bladder very weak, especially for older people. Old age also brings several diseases including the degradation of their physical health which brings them those extra pairs of ‘legs’ in the form of walkers, crutches, wheelchairs, and the like. It’s quite amazing isn’t it on how life works and how it makes us realize that we all go back to where we came from in one way or the other. You, the abled and strong one, will now have to take care of them, just like how they used to when you were experiencing this kind of weakness (sans the long list of diseases). Now, you are going to need quite a lot of things to make sure your senior, undergoing any kind of medical condition, are at their most comfortable and safest situation. You are going to need a lot of supplies, and more often than not, you will not be finding everything all at one store/shop, etc. Fortunately for you, a Pharmacy in Palm Harbor, has just what you need for a complete, and efficient senior care. 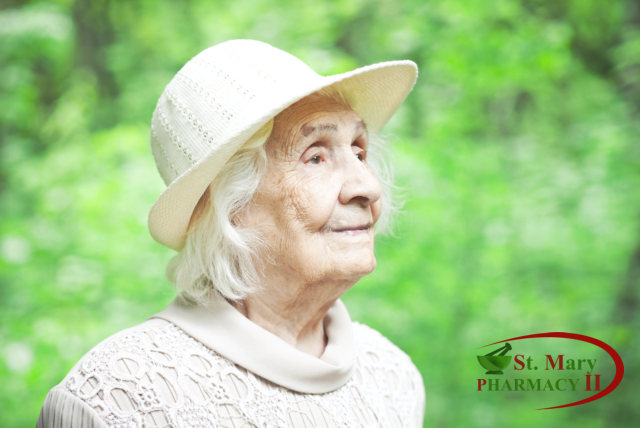 St. Mary Pharmacy has a long list of medical supplies that will make sure that your senior is well-taken care at your convenience. If we do not have your orders in stock, we can place the order for you. We make sure that we are able to meet the health and wellness needs of the citizens in Palm Harbor, especially those closest to your hearts: your seniors. Visit us at http://www.stmarypharmacyrx.com or call 727-773-9001 for further information and inquiries about our supplies and other services we offer. This entry was posted in Pharmacy Services and tagged Medical Supplies, pharmaceutical, Prescriptions, Senior Care. Bookmark the permalink.